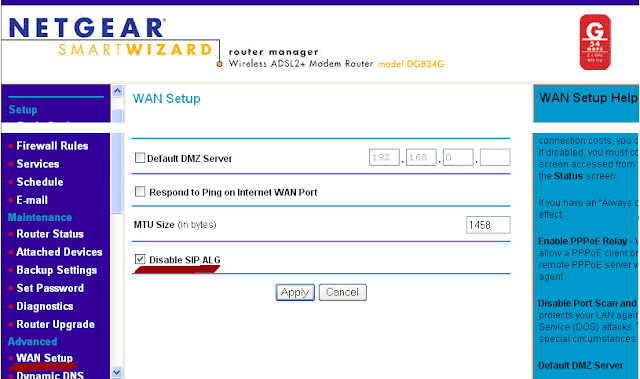 1-From the internet browser address window, type in the IP address "192.168.0.1" and press "Enter." 3-Click To "WAN Setup" on the configuration page. 4-Scroll down to the bottom of the page and you will see various options such as SIP ALG and Click the "Disable SIP ALG" check box.